We provide audiology services so you can conquer your hearing loss and focus on the important things. 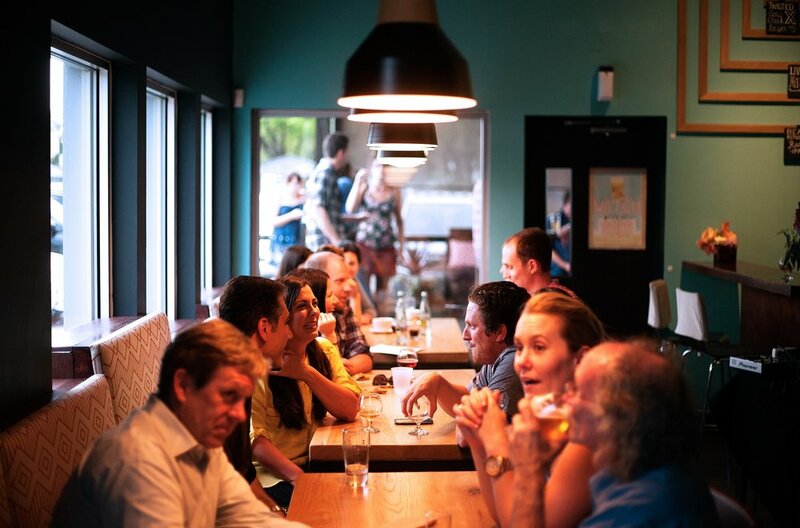 Confidently step into any restaurant and enjoy a meal with those you love. Have fun at the golf course, a book club, going shopping, or a day at the park. Never miss moments like birthdays, holidays, recitals, sports games, and more. Let’s conquer your hearing loss together. Are you tired of missing important moments? Is it exhausting asking people to repeat themselves? We think you should be able to conﬁdently connect with the people around you. At AccuHear, we can make it easier for you to hear what matters most. We’ve helped over 10,000 people conquer their hearing loss and reconnect with the ones they love. Let us partner with you today, and you’ll never miss a moment again. 1. Come in for your appointment. Your first appointment is with a trusted audiologist who can perform all the necessary tests to figure out the best way to treat your hearing loss. 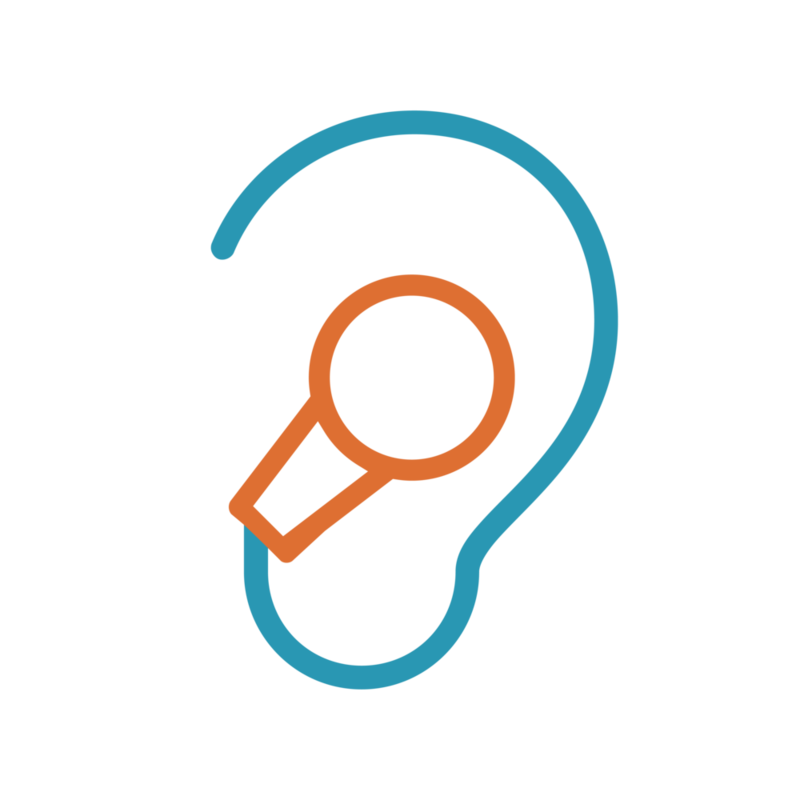 We want to know about you, your lifestyle, and what matters to you so we can give you the best recommendation for treating your hearing loss. 3. Test out your devices. We give you a chance to try out your devices in our state-of-the-art surround sound so you can experience the difference hearing aids can make. 4. Hear what matters most. Once you’ve been fit with your devices, you can get back to your life and re-engage with the people you love, the activities you enjoy, and the things you care about most. Living life with hearing loss is isolating and frustrating at best. It’s easy to miss out on important moments when you can’t hear what’s happening around you. Not only will you feel isolated from those you love, your brain will work harder than it should, increasing your risk for developing dementia over time. When you conquer your hearing loss, it’s easier to laugh, make memories, and stay engaged with activities you enjoy. You’ll ﬁnd yourself hearing those you love, keeping you connected and engaged with a full, healthy life. At AccuHear, you aren’t just a number. We promise to provide you with care and attention that will exceed your expectations. For over 25 years, we’ve been serving the Spring Hill area, providing high-quality, intentional care that keeps your needs in mind. We use the best available technology to test and treat your hearing loss, meaning you always get the best.